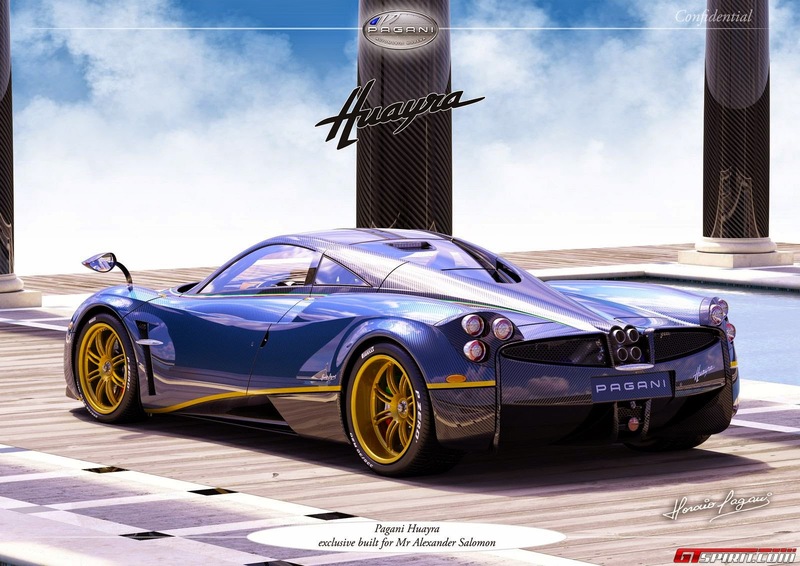 This is the second one-off Pagani Huayra to be built after the famous Huayra “La Monza Lisa”. The first infos about this car started come out in September when the Mexican supercar collector by the name of @salomondrin on Instagram, announced he had ordered a custom 1 of 1 Pagani Huayra dubbed the 730S Edition. 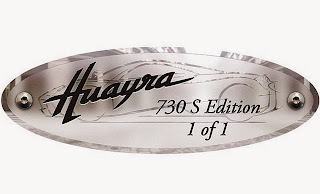 Then, no news until yesterday when the owner posted on his Instagram profile the official renders of the car. 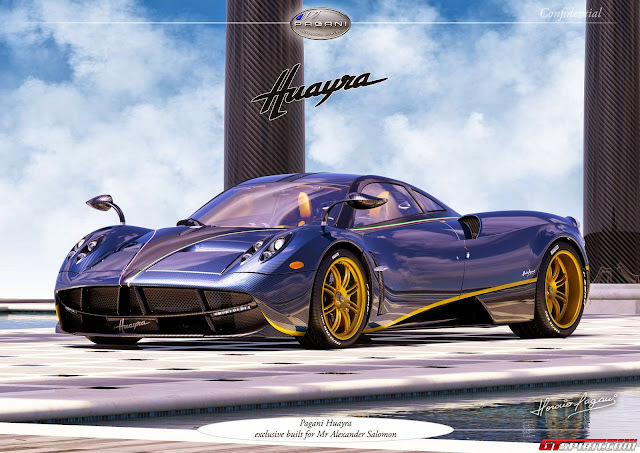 The car is very special, it is characterized by a fully visible Carbon Fiber body, half normal and half lightly tinted in blue, both kind of Carbon Fiber are surrounded by Tricolore stripes on top while at the bottom it features golden side stripes and golden wheels. The lucky owner took inspiration from his favorite Pagani model, the Zonda Tricolore, with the addition of a bit of Zonda R spirit, both styles mixed into one car which makes his ideal Pagani Huayra. 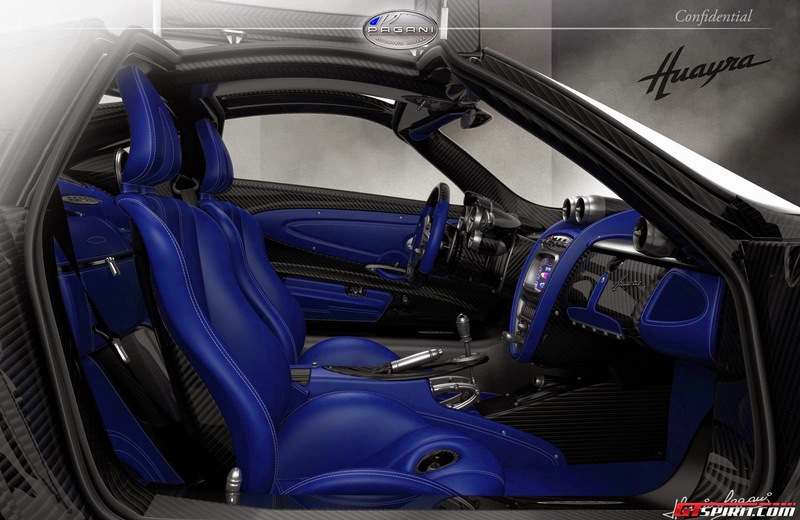 For what concern the interior it is characterized by blue leather with white stitching, fully visible carbon fiber and all the aluminium parts are anodized while the passenger airbag is not present according to the rendering. For the moment it's still unclear what distinguish the 730S Edition from a ‘standard’ Pagani Huayra, we do expected some special upgrades similar to the recently revealed Pagani Huayra La Monza Lisa but in my own opinion mechanically it's identical to all the other Huayra produced with the Track Pack option. I had the opportunity to see the car at the factory during my last visit in November, the car was half hidden by a cover but from what I saw, it looks much better in real than in renderings.